Saint Patrick’s Day is getting closer and closer. 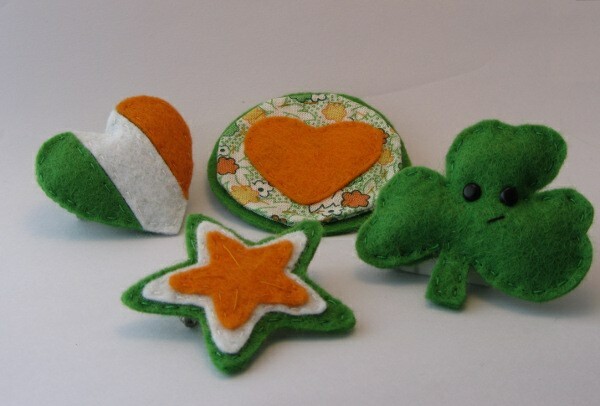 This year I had fun playing with felt and the Irish flag colours. I made three brooches featuring the three flag colours. I have also put together a DIY kit for the ones who would prefer to make their own Paddys’ Day ornament: a cheeky shamrock brooch. They are now all available in my Etsy shop.